The U.S. EPA proposes tightening the current ozone pollution standard of 75 parts per billion to a standard in the range of 65-70 parts per billion. For 44 years, the U.S. Environmental Protection Agency (EPA) has defended the American people's right to breathe clean air by setting national air quality standards for common air pollutants. Successful public health protection depends on the latest science. Think of it this way: If your doctor wasn't using the latest medical science, you'd be worried you weren't getting the best care. That's why the Clean Air Act requires EPA to update air quality standards every five years, to ensure standards "protect public health with an adequate margin of safety" based on the latest scientific evidence. So today, following science and the law, I am proposing to update national ozone pollution standards to clean up our air, improve access to crucial air quality information, and protect those most at-risk -- our children, our elderly, and people already suffering from lung diseases like asthma. This proposal would lower the current standard of 75 parts per billion (the concentration of ozone pollution in the air we breathe) to a standard in the range of 65-70 parts per billion, while taking public comment on a level as low as 60. Bringing ozone pollution standards in line with the latest science is more than just a legal requirement; it empowers the American people. Ground-level ozone pollution, commonly known as smog, comes from industrial action, motor vehicles, power plants, and other activities. 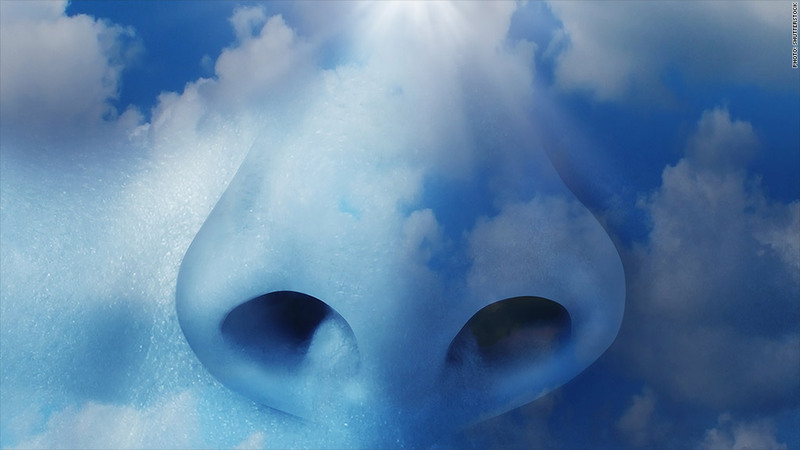 Breathing ozone irritates the nose, throat, and lungs. Thousands of scientific studies (from renowned institutions like Harvard University, the University of North Carolina Medical School, and many others) tell us that cutting air pollution to meet ozone standards lowers the risk of asthma, permanent lung damage, cardiovascular harm, and premature death. In the U.S. today, one child in 10 already suffers from asthma, and ozone pollution makes things worse. The economic costs: Missing work, feeling ill, or caring for a sick child costs us time, money, and personal hardship. When family health issues hurt us financially, that drags down the whole economy. The good news is that if these proposed standards were finalized, every dollar we would invest to meet them would return up to $3 in health benefits (totaling up to $38 billion in 2025, and going up from there). For our children, that means avoiding up to 1 million missed school days, thousands of cases of acute bronchitis, and nearly a million asthma attacks. Adults could avoid hundreds of emergency room visits for cardiovascular reasons, up to 180,000 missed work days, and 4 million days where people have to deal with pollution-related symptoms. Special-interest critics will try to convince you that pollution standards chase away local jobs and businesses, but, in fact, healthy communities attract new businesses, new investment, and new jobs. When EPA revised ozone standards in 1997, critics claimed "new air quality regulations...will destroy jobs, hike business costs, and exact painful lifestyle changes while doing little to improve health..." None of that ever came true. Of the counties that didn't meet the 1997 standard back then, 90% now comply. Overall, since 1980, ozone pollution has decreased 33% nationwide. Simply put, the United States has never had to choose between a healthy economy and a healthy environment and we won't start now. Critics often attempt to deny and discredit the science and exaggerate the costs of dealing with pollution. Here's the truth: States will have time to design and deliberate, through an open process, their plans to improve air quality. States will then have until 2020 to 2037 to meet the new standard, depending on the severity of an area's ozone problem. The federal government will back up state actions with programs in place or in development, such as the Mercury and Air Toxics Standards and our proposed Clean Power Plan. For a state like California with its unique geology and meteorology, even meeting the standard by 2037 could be a daunting task, so we have to work together to bring new technologies and solutions to the table. Critics play a dangerous game when they denounce the science and law EPA has used to defend clean air for more than 40 years. The American people know better. In the 1970s, those same critics said EPA action to remove toxic lead from gasoline would put the brakes on auto production. Instead, blood lead levels in children worst affected have plummeted nearly 90% since 1976. And auto makers didn't fold, they flourished. Today, the number of cars rolling off American assembly lines reached its highest level in 12 years. In the 1990s, those same critics said fighting acid rain would make electricity prices go up and our lights go out. They said industry would die "a quiet death." Instead, industry is alive and well, our lights are still on, and the health benefits of our acid rain program exceed costs 40 to 1. Time after time, when science pointed to health risks, special interests cried the sky was falling. And time after time, EPA obeyed the law, followed the science, protected public health, and fortified a strong American economy. Over four decades, we've cut air pollution by nearly 70%, while our economy has tripled in size. The sky never fell. Today's action follows that proven path. Gina McCarthy is the U.S. Environmental Protection Agency Administrator.